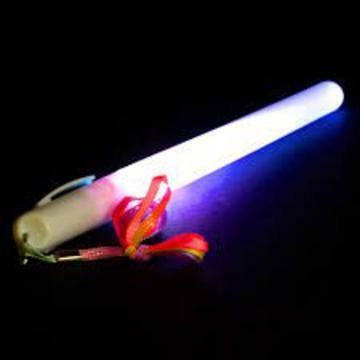 Our Super LED Light Sticks are 8" long by 3/4" in diameter. They have predrilled holes at the end with a per attaching a cord. They create striking visual effects from three modes: Steady on, Blink, and strobe. Each LED Light Stick will run approximately ten hours on one battery set.